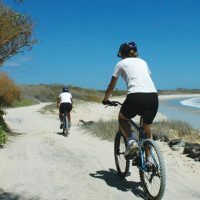 Mountain bike our exclusive, low-impact route along pristine coastline. 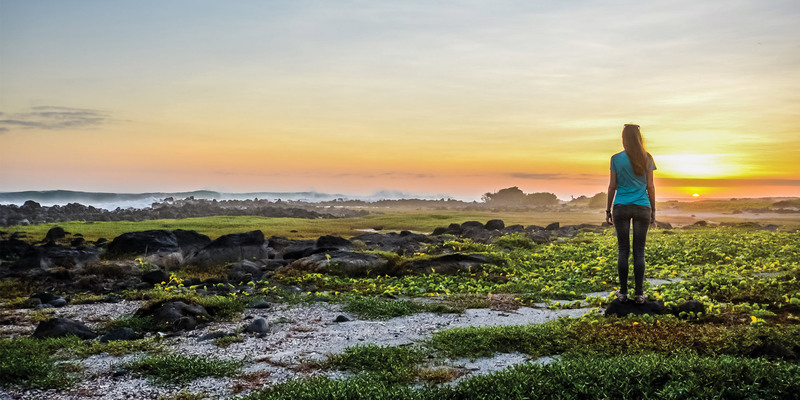 Protect the environment and support the local communities with our eco-friendly activities and green hotels. After a morning flight from the Ecuadorian mainland to San Cristobal Island, we meet you at the airport and head to our hotel. 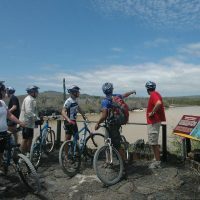 In the afternoon, after lunch, we begin our adventure with a visit to the Galapagos Interpretation Centre to Centre to learn about the unique wildlife, geology, history, and social dynamics of the protected archipelago. After our visit, we hike to Tijeretas along natural trails formed through lava rocks. 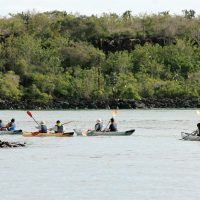 Our guides interpret the amazing flora and fauna we encounter as we pass native plants like Galapagos cotton, palo santo, acacia and cacti, spotting blue-footed boobies, frigate birds, pelicans, herons, gulls, warblers, mockingbirds and finches among the vegetation and along the sea cliffs. 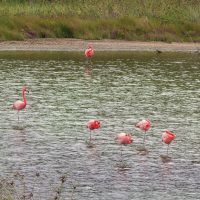 There are also scenic views of the rugged coastline and the tranquil town of Puerto Baquerizo Moreno to enjoy. We cool off from our hike with a refreshing snorkelling session at picture-postcard beautiful Carola Beach, surrounded by sea turtles, sea lions and marine iguanas, and bask in the setting sun. 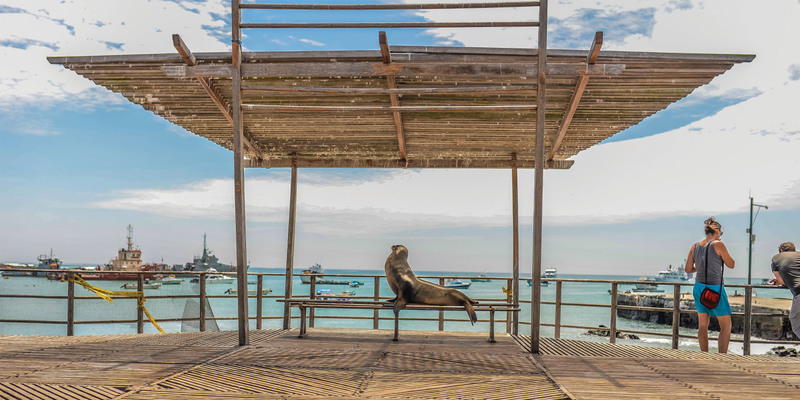 After a gourmet dinner of seafood, Ecuadorian or international dishes, we explore the friendly, laid-back beach town and stroll down the boardwalk to visit the neighbouring colony of Galapagos sea lions. 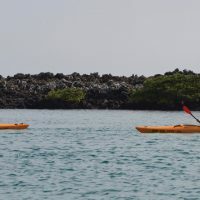 Our second day begins with a morning of kayaking along the coastal bays and coves of San Cristobal’s north coast, full of blue footed boobies, frigate birds, sea lions, and sea turtles. We may visit Leon Dormido (Kicker Rock) or Punta Pitt. 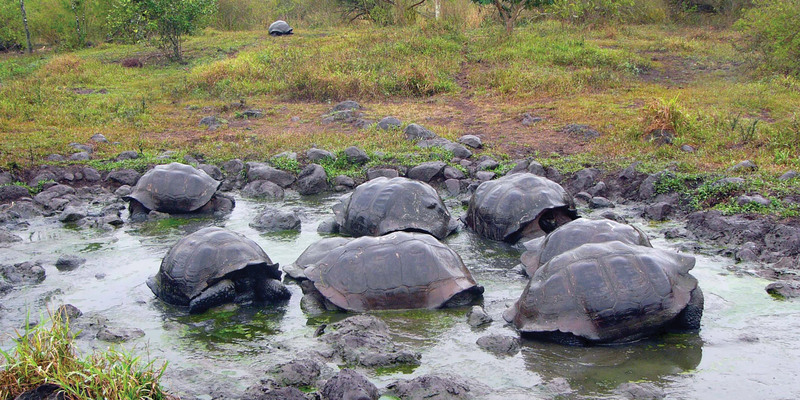 The visiting site will depend on the week day and Galapagos National Park regulations. 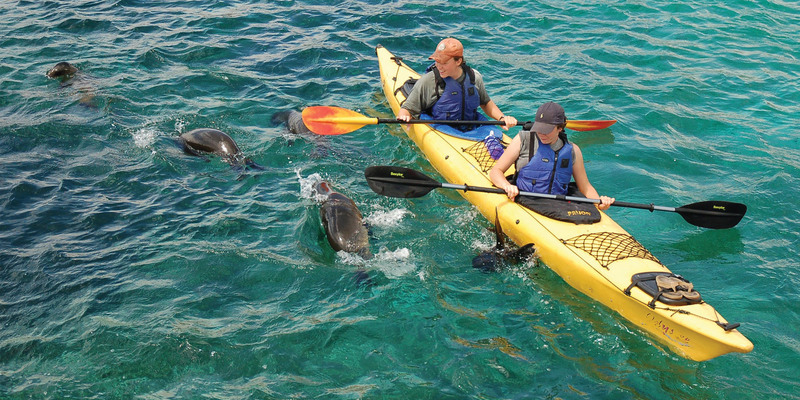 We’ll put on snorkels and fins to interact with sea lions, as well as marine iguanas and countless reef fish. 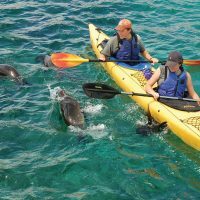 We’ll swim with spotted eagle rays, golden rays, Galapagos sharks, starfish, clams, and fish of every shape, size, and color. With luck, we might even see some menacing but harmless hammerhead sharks! After a full day spent exploring the seas, we head back to town for a delicious dinner and a well-earned rest. After breakfast, we say good-bye to San Cristobal and take a quick small-plane ride to Isabela Island. 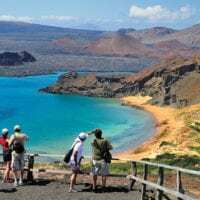 Isabela is the largest island in the Galapagos and is still being formed by six active shield volcanoes. 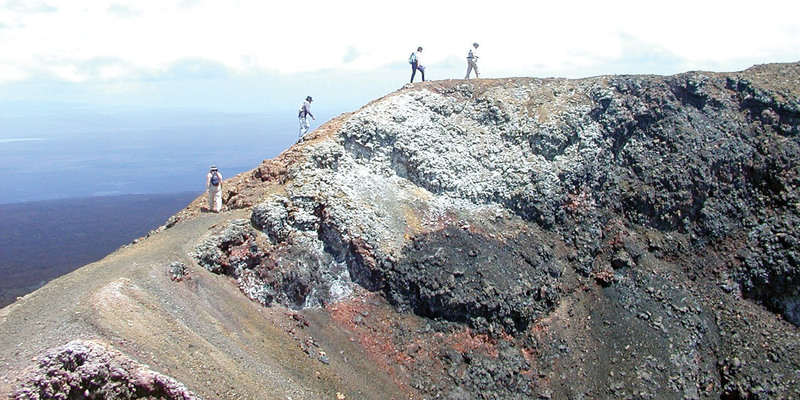 In fact, Isabela is one of the most volcanically active spots on the planet. 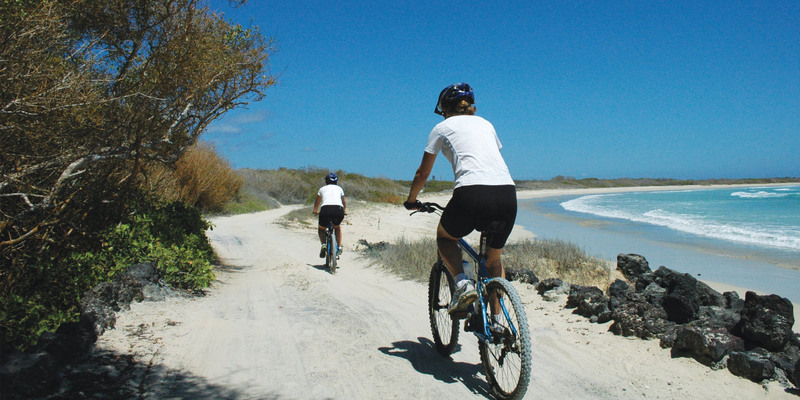 Upon arrival, we embark on a bike ride that will take us through a wide variety of environments and ecosystems. 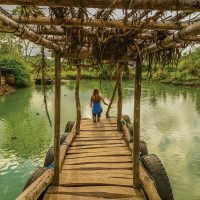 Along the way, we’ll pass through white sand beaches, mangrove forests and brackish lagoons, and a lava tube cave. 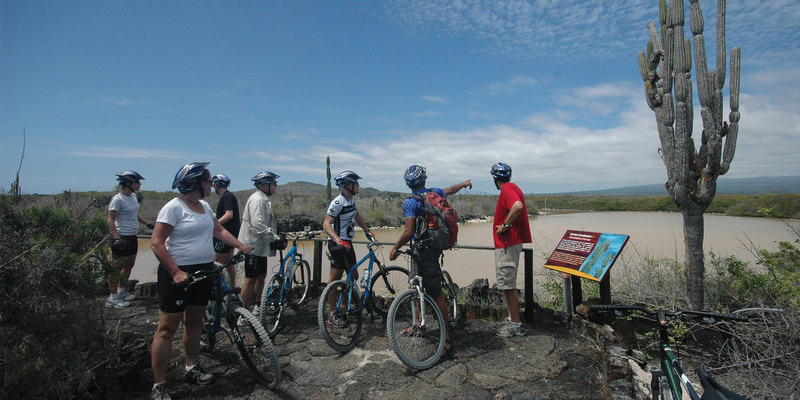 As we ride, we’ll pass giant tortoises, flamingos, and other wildlife. At the end of our ride, we arrive at el Muro de las Lagrimas (the Wall of Tears). When Isabela was used as a penal colony, prisoners were forced to construct this towering wall of lava rocks for no other reason than to keep them distracted from the madness of isolation. After lunch, we explore Tintoreras, a set of small islets filled with hidden coves and beaches. 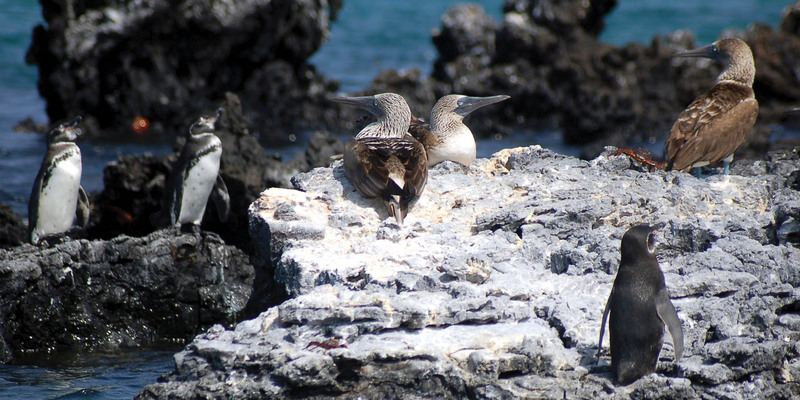 Here, we will find the peculiar, endemic Galapagos penguin and other marine life. 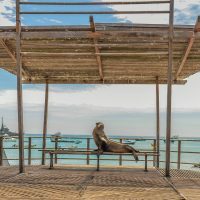 At the end of the day, we retire to our hotel and after a delicious dinner, we can enjoy the well-appointed lounge or wander the idyllic sand streets of Puerto Villamil. This morning, we’ll drive up the flanks of the Sierra Negra volcano until the road ends. Here, we continue on foot and hike into a surreal world of geological history. On the hike up, we can admire incredible views of the surrounding volcanoes and sea, as well as the distinctive highland ecosystem around us. But the real prize is at the top – when we arrive at the rim of the Sierra Negra volcano, we are treated to a truly breathtaking vista. Sierra Negra is the second largest active caldera on the planet, over six miles at its widest point. 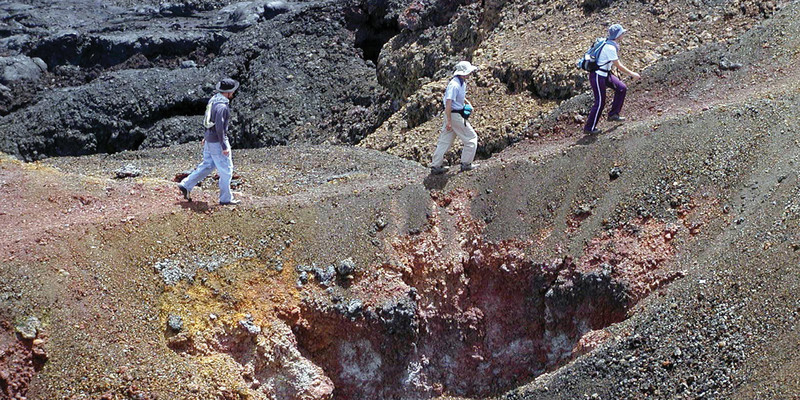 We’ll hike the rim of this enormous crater and, if we feel energetic, continue on to the caldera of Volcan Chico, an otherworldly landscape of vibrant hues created by sulfur deposits. 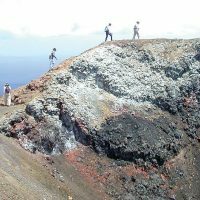 Here we can explore spectacular lava formations and fumaroles. 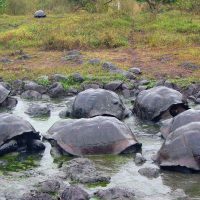 After a stop at an idyllic tortoise reserve for lunch, we’ll head back to the lowlands in time to spend our last afternoon on Isabela relaxing on the perfect beaches and soaking up the island-life atmosphere. 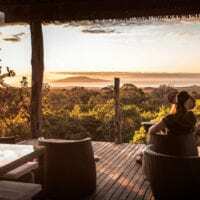 Wake up with the sea breeze as we travel by speedboat or internal flight to Santa Cruz Island, keeping an eye out for whales and dolphins along the way. 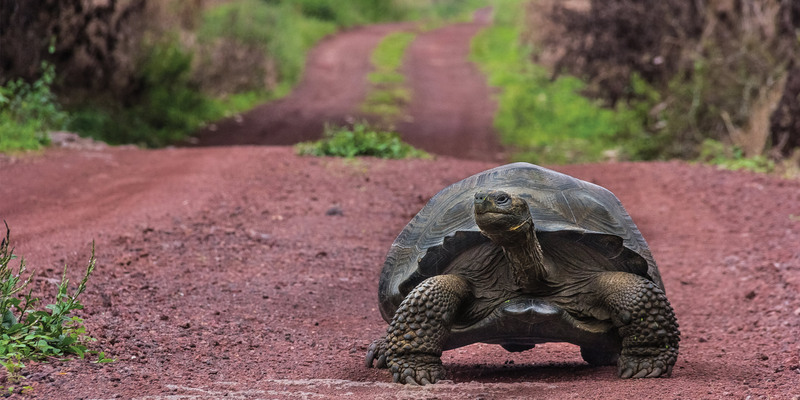 After checking in at the hotel we head to El Chato in the Santa Cruz highlands to find the famous giant tortoise in its natural habitat. It is truly an honour to walk in the stately presence of these gentle giants, who can live to be over 175 years old. 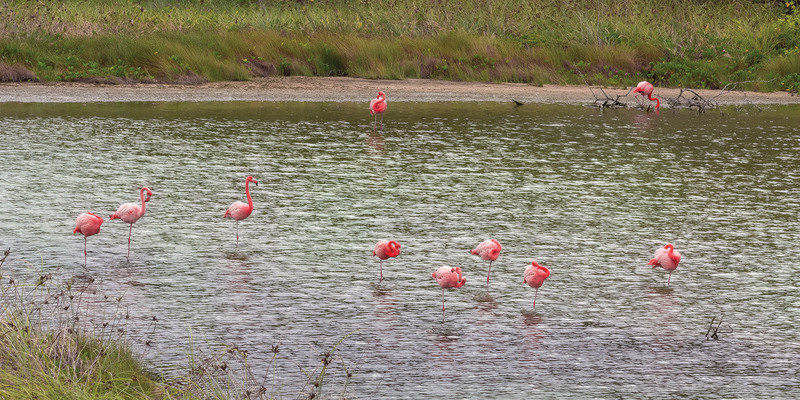 We will also see pintail ducks, Darwin’s finches, frigate birds, egrets, and the vermillion flycatcher. Our next stop is the incredible lava tunnels, which formed an ideal hideout for the pirates that once frequented the Galapagos. Legend has it that they were also used to hide Inca gold stolen from Spanish ships. 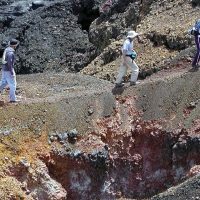 We then hike on to Los Gemelos, two deep volcanic sinkholes at the top of the island, with rocky cliffs surrounding the huge pits of empty magma chambers. Our path takes us through a forest of endemic Scalesia trees, where we will be on the lookout for the elusive short-eared owl. The trees are covered with ferns and epiphytes, and lend the forest a quiet, eerie feel. 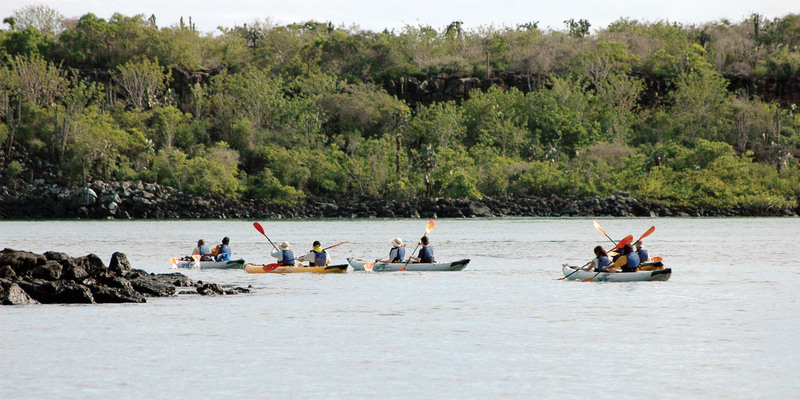 This morning, we’ll head back to sea in kayaks to explore the unique landscape of Punta Estrada and Divine Bay. As we paddle through towering lava channel walls, we can see rays and white-tipped reef sharks below us in the serene, clear water. 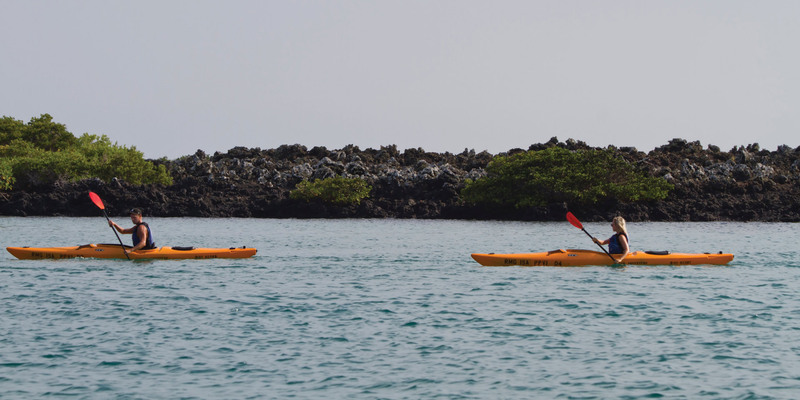 We can also paddle right up to the fearless blue-footed boobies, lava gulls, herons, sally lightfoot crabs, and marine iguanas perched along the cliffs. 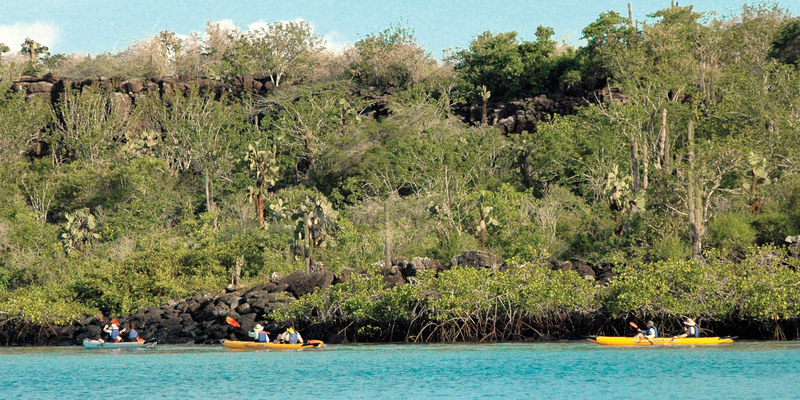 After lunch, we’ll take a short hike through a distinctive dry forest to Tortuga Bay. Along the hike, we find many interesting birds and plants. 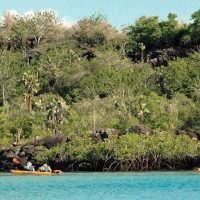 We emerge from the forest onto Tortuga Bay, one of the most beautiful beaches in the Galapagos, with soft, fine sand and pristine turquoise waters, perfect for a relaxing afternoon. As evening comes, we’ll return to our hotel to celebrate a wonderful trip and enjoy our last evening in the Galapagos. 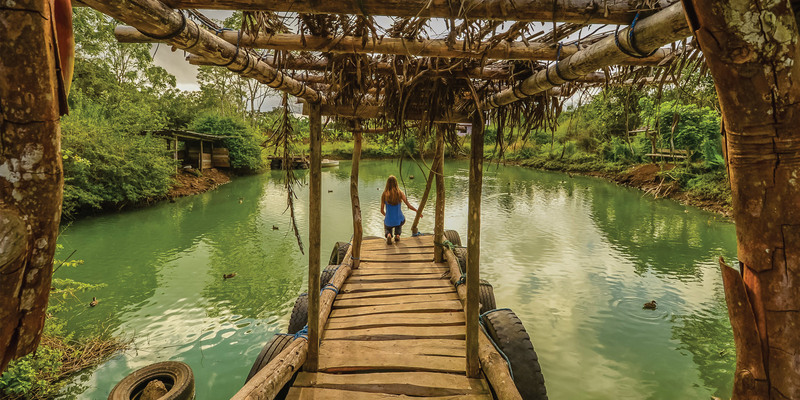 If there is enough time we’ll stop for a visit at the Charles Darwin Research Station to learn from local scientists about the ongoing conservation efforts on these enchanted islands. 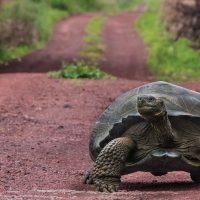 The Research Station rears endemic plants, land iguanas, and giant tortoises for educational, scientific, and conservation purposes. 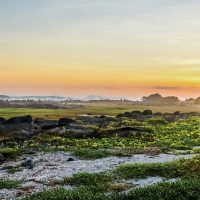 Here, we can learn more about the diverse evolutionary paths and characteristics of the animals and plants that we just met. 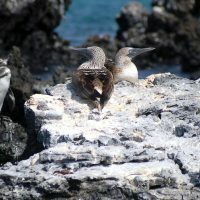 We transfer to Baltra Island for our return flight to the mainland and bid a fond farewell to the Galapagos.